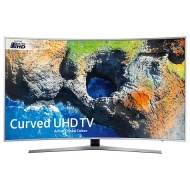 alaTest has collected and analyzed 106 reviews of Samsung UE65MU6500 Series. The average rating for this product is 4.8/5, compared to an average rating of 4.3/5 for other products in the same category for all reviews. We analyzed user and expert ratings, product age and more factors. Compared to other products in the same category the Samsung UE65MU6500 Series is awarded an overall alaScore™ of 89/100 = Very good quality. For excellent sound quality and picture sharpness this TV is a must have. Easy to use it has it all if you like to relax and enjoy your viewing. Love this TV. Picture and sound quality are fantastic. I would definitely recommend this TV. Great tv, very good looking tv with great picture quality and features. It's a great tv, also the excellent of guarantee from John Lewis. great tv, stylish, fantastic picture with all the smart services that you would expect from a samsung tv.